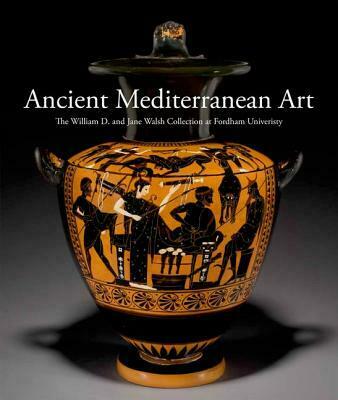 Ancient Mediterranean Art: The William D. and Jane Walsh Collection at Fordham University is the catalogue of Fordham University's remarkable collection of Classical antiquities, comprising objects dating from the fourth millennium B.C.E. to the 4th century C.E., originating from Greece, Italy, Turkey, the Near East, and Egypt. It is one of the largest collections of antiquities held by an academic institution in the New York area and includes many important works of ancient Mediterranean art that are published here for the first time. This lavishly illustrated book features 104 of the most significant objects in the William D. and Jane Walsh Collection. All the major art forms from the Greek, Etruscan, and Roman worlds are represented, including pottery, sculpture, glass, architectural decoration, and coins. Each object entry is accompanied by one or more color photographs, some with detailed profile drawings, along with explanatory text examining the individual artistic significance of the pieces; their domestic, religious, civic, or funerary function; and their relationship to objects of similar type published elsewhere and in other museum collections. Interspersed throughout are enlightening thematic essays-for example, on Italic votives and on Etruscan roofs and their decoration-that provide valuable context for the individual objects. An appendix provides a comprehensive list of the works in the collection with brief descriptions and photographs of those not given fuller scholarly attention. The extensive bibliography and notes further augment the value of this catalogue as an educational resource and a notable contribution to the corpus of scholarship about the art, history, and culture of the ancient Mediterranean world.